Carpet cleaning can be a hassle at times? 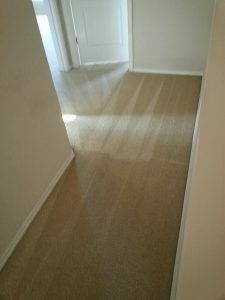 Not knowing which carpet cleaner is going to do the job right or if you are over paying for carpet cleaning. The unexpected is always a little nerve recking. You should be comfortable not only over the phone but in your home with any carpet cleaner you should choose to use. When you use Beyer Carpet Cleaning you will always hear a friendly voice when you call in. The Beyer Carpet Cleaning staff is not only friendly but also very helpful and will do everything they can do to make sure each customer is properly taken care of. When the Beyer Carpet Cleaning technician arrives to your home he will always be professional and courteous. He will walk through the home with you to point out any spots that may be of concern and he will only clean the areas you need or want cleaned. He will not enter any part of the home you do not want him to be in. Once your home has been serviced and your carpet cleaning, tile and grout cleaning, or upholstery cleaning did not come out the way it was supposed to Beyer Carpet Cleaning will send a technician right over to take care of the situation. Beyer Carpet Cleaning wants each of their customers to be satisfied with their cleaning and wants the customer to return for any cleaning they may need in the future so Beyer will take care of any needs the customer may have. San Antonio carpet cleaners have lots to offer but something that Beyer Carpet Cleaning can only offer is professional carpet cleaning services for a reasonable price. Beyer Carpet Cleaning is often half the price of their leading competitor for the same great service. Beyer Carpet Cleaning makes carpet cleaning, tile and grout cleaning, and upholstery cleaning so simple that their is no need to look at any other carpet cleaner in town. Skip the pain, hassle, and headache and call Beyer Carpet Cleaning every time!